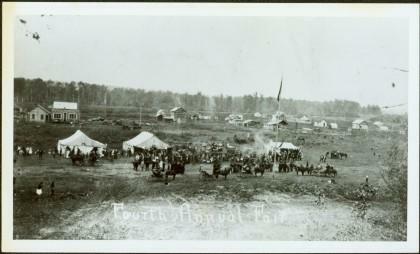 Photograph depicts crowd, horses, tents and flag pole in foreground with buildings and trees in background. Annotation on verso: “Fourth Fall Fair Prince George, Sept 1915". Handwritten annotation on verso of photograph: "231".